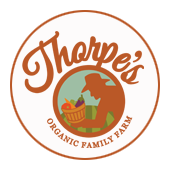 Our farm store hours can be found here. *We only accept cash or checks at this time. Thank you! *The office is closed Saturday & Sunday. *Please call the office to confirm availability of all items. Organically fed beef: ground beef, ground beef patties, stew meat, butcher steak, rib steak, tenderloin steak, Delmonico steak, t-bone steak, porterhouse steak, strip steak, sirloin steak, rib roast, sirloin tip steak, chuck roast, arm roast, pot roast, rump roast, round roast, rolled roast, sirloin tip roast, short ribs, cube steak, heart, ox tails, bones & beef fat for tallow. Organically fed pork: mild & hot Italian sausage, polish sausage, breakfast sausage, ground pork, shoulder roasts, pork loin roasts, chops, ribs, smoked ham, smoked ham steaks, smoked pork chops, smoked pork steaks, neck bones, pork skin, liver & lard (rendered and un-rendered. Certified organic, fair trade coffee from NY based coffee roaster Tierra Farms - Blonde roast, Tierra breakfast blend, Ethiopian, Sumatran Decaf & Tierra decaf blend. A variety of baked goods daily, all made with primarily organic ingredients, including bread, cookies, scones, muffins, pies, and cakes.